Summer is over, kids are back to school but the hottest Thursday night party in Northern NJ continues. 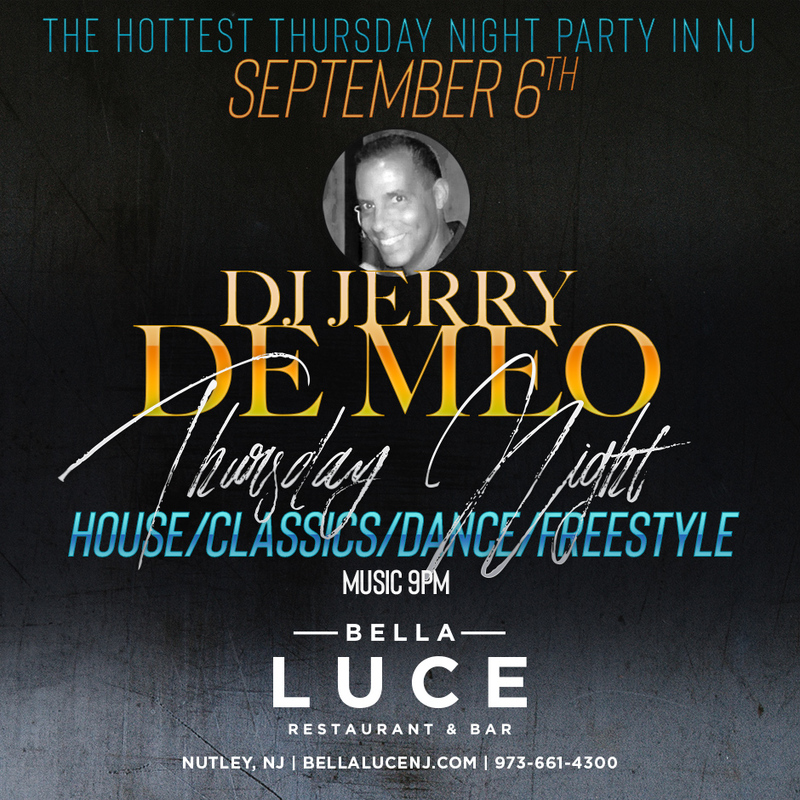 DJ Jerry De Meo will be spinning house, classics, dance, and freestyle starting at 9pm on Thursday, September 6th, 2018. Don’t miss a great night out for drinks and dinner. Arrive early for dinner and experience one of Chef Erm Firmani’s amazing dishes. Make your dinner reservations today, call 973-661-4300 or reserve online. CLICK HERE TO LET US KNOW IF YOU ARE COMING!